With additional funds allocated by the U.S. Army Corps of Engineers, Headquarters, the Savannah Harbor Expansion Project (SHEP) will continue moving forward. With over 439,000 jobs – 9% of Georgia’s total employment – supported by our ports and billions of dollars generated on the local, state, and federal level, this is a HUGE win! The federal commitment for the project is to pay 75 percent of the $973 million cost. The state of Georgia has already contributed about $266 million for the project and the 2019 budget includes $35 million more. 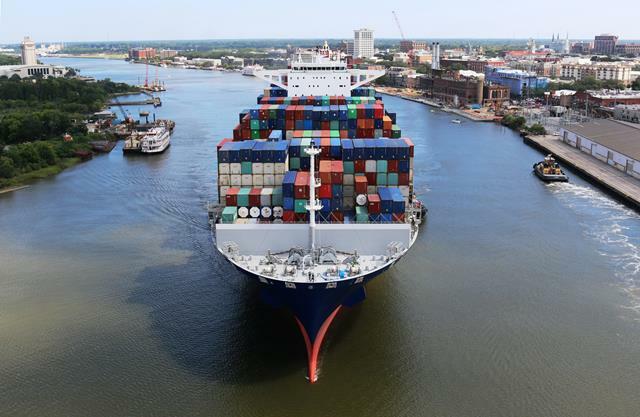 “The Port of Savannah is boasting record numbers each month. Ensuring the on-time completion of this project is a win for trade, a win for the economy and a win for the hundreds of thousands of jobs the Port of Savannah supports,” said United States Senator Johnny Isakson, R-Ga. I extend my deep appreciation to President Donald Trump, Senator David Perdue, Senator Isakson, and Georgia’s congressional delegation for their leadership and commitment to SHEP!